in the thank you notes! Don't make writing thank you notes harder than it needs to be. If you're still planning the wedding, consider setting up a table with envelopes and pens so your guests can write their names and addresses for you! It will take each individual guest less than a minute, and it will save you hours. Writing one hundred thank you notes in one sitting would be too much for anyone. Keep yourself from getting burnt out by setting up a thank you note schedule. Divide your total number of thank you notes by five weekdays. This way, you'll have a reasonable amount of notes to tackle every evening and you'll be finished by the time the weekend rolls around! There is no reason why YOU should have to write all of the thank you notes. Your new husband is an equal recipient of all your gifts - let him take on an equal share of the work! Dividing the notes up by family can be an easy way to start. Some couples choose to have the groom send the notes to the bride's family and the bride write the notes to his to help solidify the new family bonds. these beautiful rustic thank you notes! We're all guilty of procrastinating every once in a while, but try not to put off writing your thank you notes for too long! The sooner you get them sent out, the better. 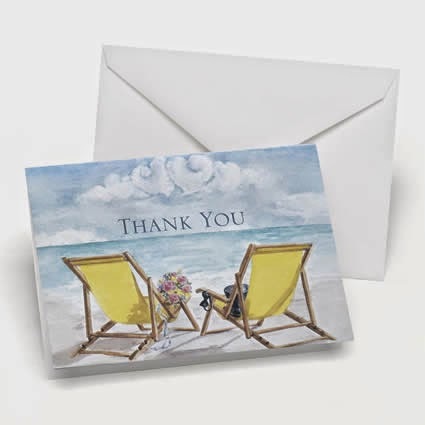 Getting your thank you notes mailed out in a timely manner (within 3-4 weeks) lowers the chance of offending your guests AND gets the dreaded task off your list. It's a win-win! 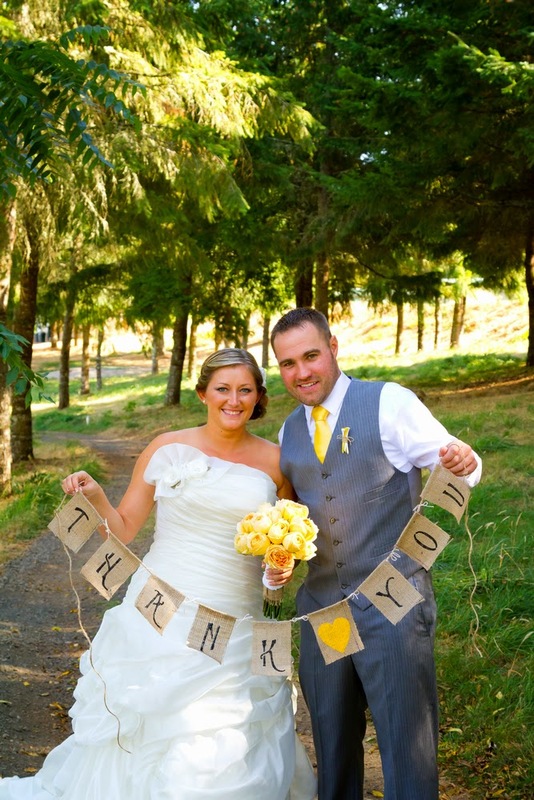 Don't fall victim to any wedding thank you note faux pas! This checklist will keep you on the right track. Be prompt. We know we just mentioned this, but it's so important we decided to say it again! Make it personal. If they gave you a pasta pot, mention the pasta pot! Personalizing your notes will give them a more sincere, honest feel. Acknowledge intangible gifts. Don't forget to send thank you notes to people who gave you gifts such as time or assistance with the wedding planning process. Those often involved just as much - if not more - effort! Go the extra mile. If you're taking the time to write thank you notes in the first place, why not make them something your guests will want to keep? Send your favorite photo of you and your groom. If you have a photo of you and your guest, include it too! Send an email, text, or Facebook message. In today's increasingly digital world, people cherish handwritten notes more than ever. Be too formal. You're thanking them for a gift and for celebrating your wedding with you - be happy and have fun with it! State the specific dollar amount of the gift. Come up with a blanket statement that can apply to all gifts, such as "We are touched by your generosity and appreciate your thoughtfulness." Indicate any dissatisfaction with the gift. It doesn't matter if you're going to return it or pass it on to someone else. What matters is that your guest went out of their way to give you and your fiancé something to help celebrate your marriage. Remember, It's the Thought that Counts! 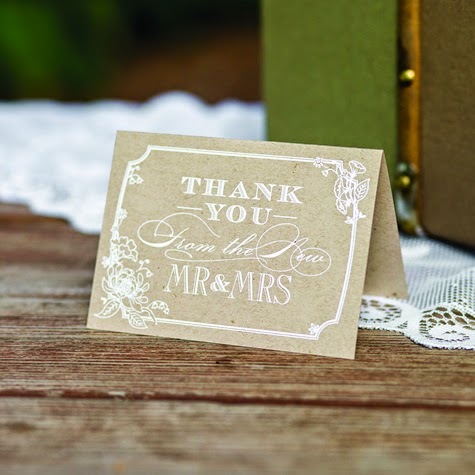 No matter how big or small your wedding is/was, all of your guests deserve to be thanked for attending your wedding and for the generosity of their gifts - and nothing shows gratitude like a personal, handwritten thank you note! Your guests made you and your groom feel special by sending a gift or traveling all the way to celebrate with you. Writing thank you notes is your opportunity to return the favor!